Recently we discussed about stopping a specific update from installing in Windows 10. In this post, we will run Windows Update through command line. 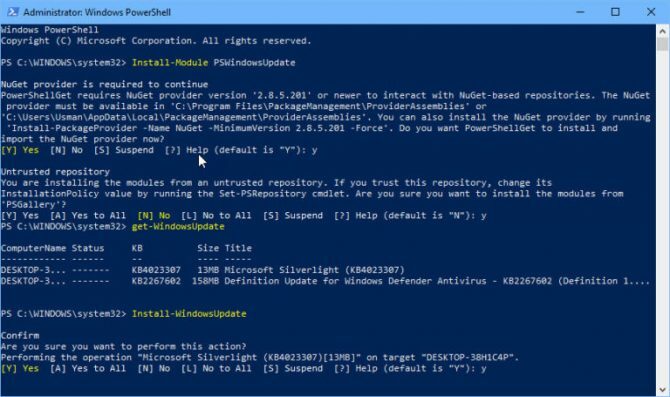 This is just a quick post on how to run Windows Update using command line tools in Windows. Sometimes it becomes important to run Windows Update from command prompt and install updates accordingly. 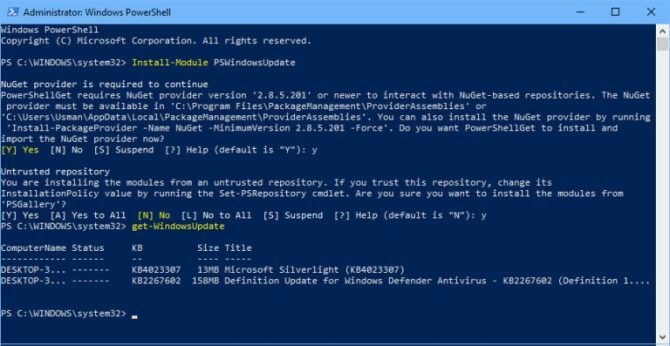 This will install the Windows Update module in PowerShell. This command will check for updates. Hopefully this will be useful in situations where you want to automate certain Windows functions. What other purposes you want to use command line options for running Windows Update?